Extend your learning nearly everywhere you go. Rosetta Stone® mobile applications for language learning, brain fitness and kids’ reading make learning experiences flexible and convenient. So you’ll find it easy to add them to your everyday life. Learn to speak Spanish, French, Italian, English, German or one of 19 other languages anytime, anywhere. 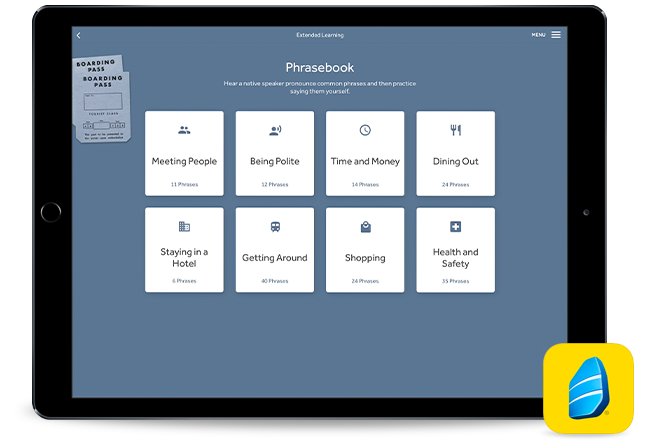 Using our proprietary speech recognition technology, the Rosetta Stone® language-learning app is designed to help you improve your language skills effectively-and you'll see results before you know it.